Just Dance 2016 exclusive songs including Bruno Mars’ Uptown Funk and Meghan Trainor’s All About That Bass. Just Dance 2016 was announced by Ubisoft on Monday (15), in the conference at E3 2015. Entitled to a rapper Jason Derulo show and testimonials from players who have participated in the global gaming championships, the dance game revealed with many new features for the new season. JD 2016 comes out on October 22, 2015 for PS3, PS4 , Wii, Wii U, Xbox 360 and Xbox One . 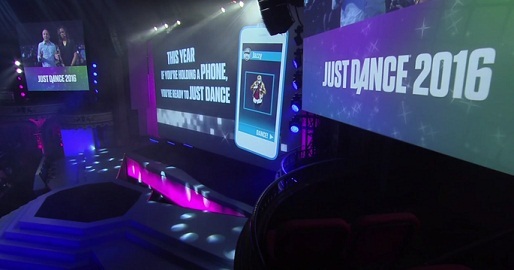 The songs are much of Just Dance experience, and the game catalog varies each year. In this, the disclosure trailer, it was noticeable that there are very famous hits at the time, as Bruno Mars’ "Uptown Funk" and "All About That Bass" by Meghan Trainor. However, Just Dance 2016 users can subscribe to Just Dance Unlimited, a "streaming" service, which will have compiled songs from other editions of the game series. It will also feature updates - so users can download music when they release as DLC for part of the game. Another big news is that now the gamers no longer required to have cameras on their consoles to capture their movements. They can use mobile phone to do this job. That is in addition to more complete, the new Just Dance also has better usability.